Kay graduated from The University of Manchester in 2009 with a Bachelors’ Degree in Spanish with Business and Management. During her degree, she completed a 6 month HR and Recruitment internship for an events company in Barcelona, Spain and undertook a Spanish course at Universidad Technologica de Bolivar in Cartagena, Colombia. Since graduating, Kay has worked in Sales & Recruitment roles for a variety of companies including multinationals, SMEs, a well-known City recruiter and has ran her own recruitment business. 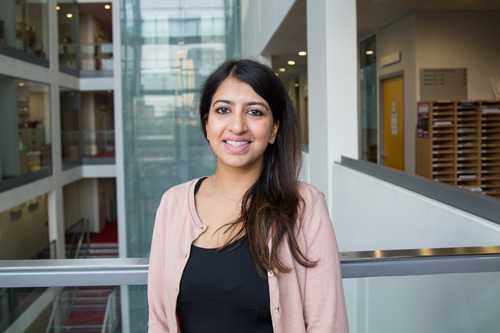 She joined City, University of London in December 2016 as the Branch Recruitment Manager for Unitemps, which is the onsite recruitment agency at the University. Unitemps works with Internal and External hiring managers to fill their temporary and permanent positions, with a focus on student employability as one of its core values. Kay also looks after the Santander SME Internship funding which involves setting up internships for City students and graduates with SMEs in the local area.